Centrally located in the heart of the desert right across from The River at Rancho Mirage. 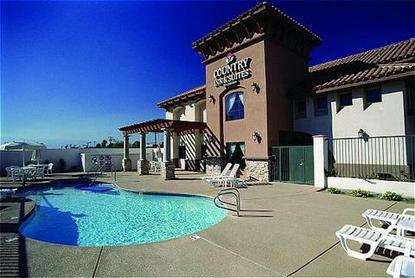 The Country Inn & Suites Palm Springs offers high-class excellent service with a friendly country style environment. Hotel features a hair dryer and an iron/board in all units, outdoor swimming pool, outdoor whirlpool, and on-site health club facilities.